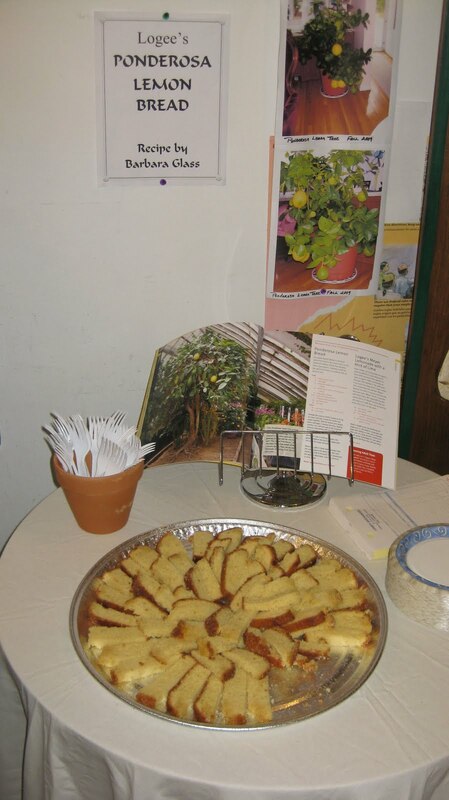 Our famous Logee's Ponderosa Lemonade and Lemon Bread were featured at our Book Launch Party (for Growing Tasty Tropical Plants in Any Home, Anywhere) / Open House Weekend. 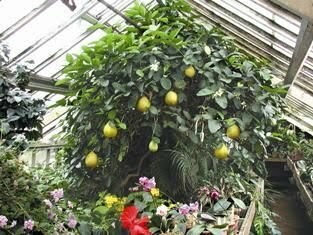 Our Ponderosa Lemon Tree has been growing in the same spot since 1900 and was brought to Logee's by train from Philadelphia, then by horse and buggy from the train station. 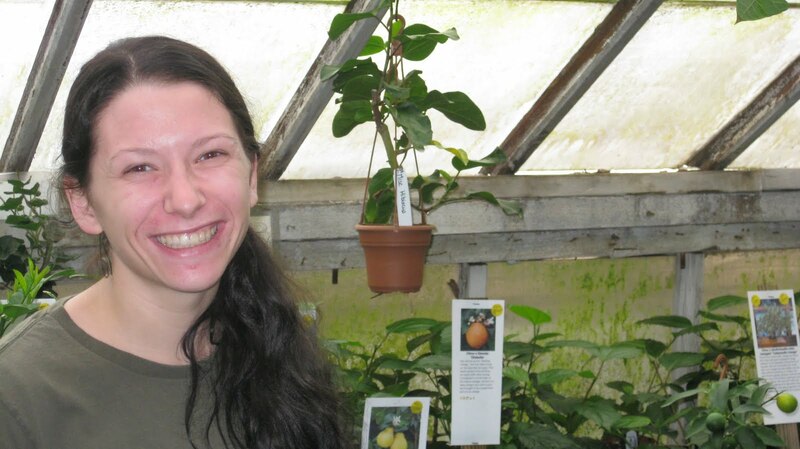 It has been producing lemons reliably for over one hundred years and has given us thousands of cuttings. 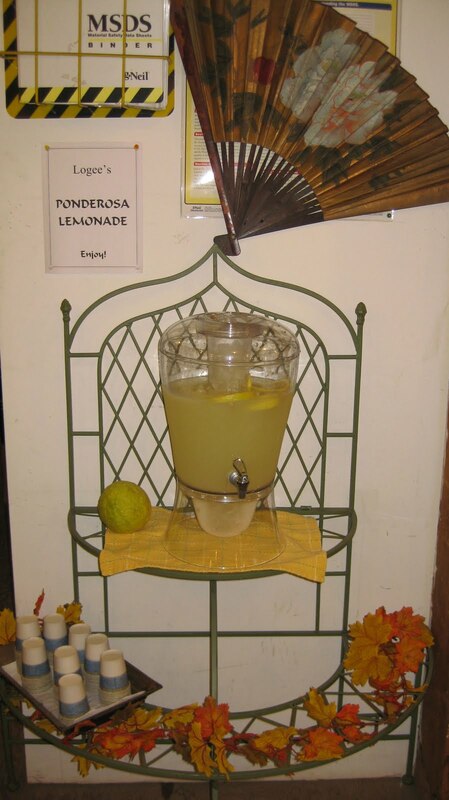 We used the lemons from this tree for our Ponderosa Lemonade and for our Ponderosa Lemon Bread. Our recipe has been tweaked for the past five years and now we have the perfect combination of sour and sweet. 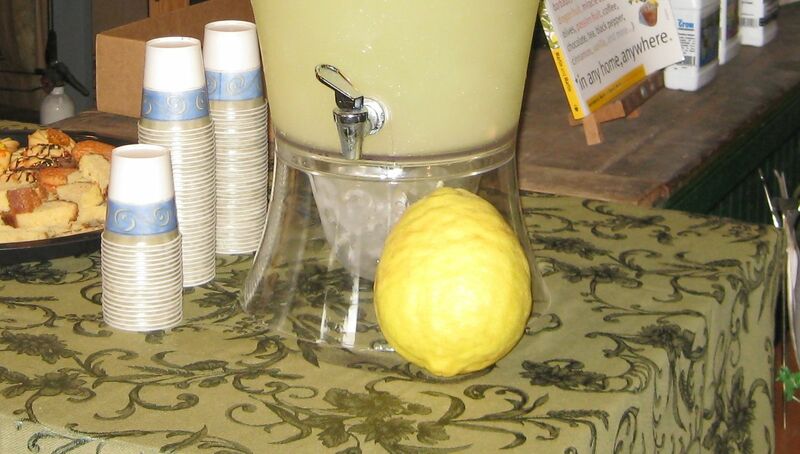 We served complimentary Lemonade Friday night at our Book Launch Party and all Weekend at our Open House. Byron and I started the weekend signing books for customers and friends. 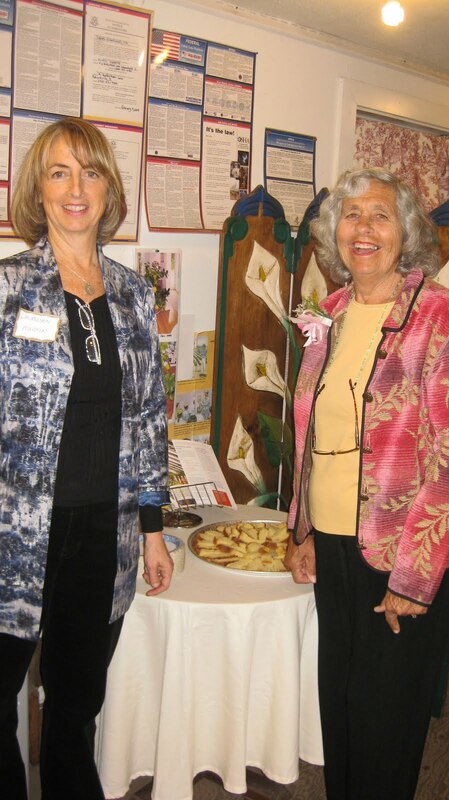 Here, my mother and I are standing in front of her Ponderosa Lemon Bread. She made six loaves. One of her secrets is in the Glaze. 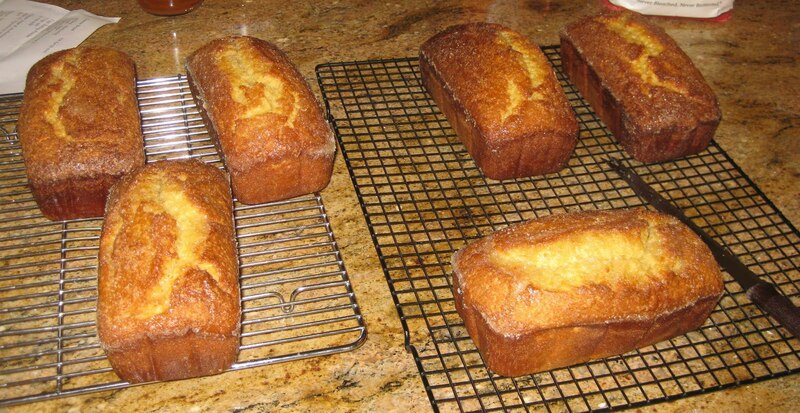 Take some fresh squeezed lemon and sugar mixture and spoon it over the warm loaves while they are still in the pan. Do not Remove from the pan until the glaze has been absorbed. This makes for a wonderfully moist and fresh lemon tasty tea loaf. Her recipe is featured in our book on page 33. If you would like the recipe, visit our website where it is posted. My sister, Gwendolyn Carbone, is serving other beverages for us too. 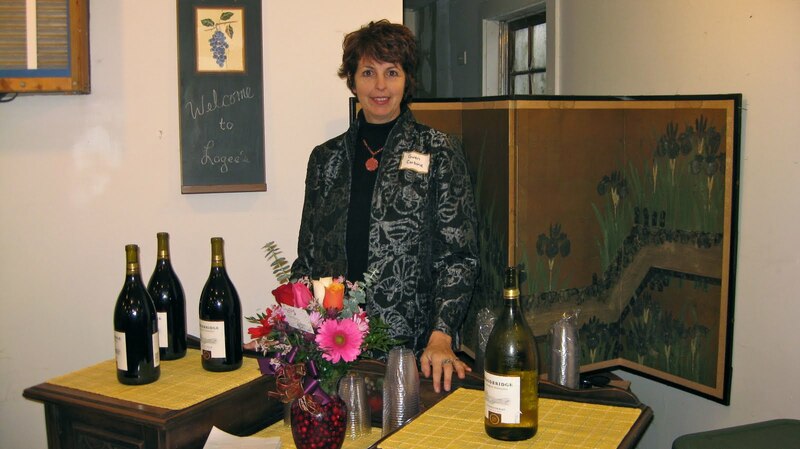 She also transformed our lunch room into a warm and welcome event. 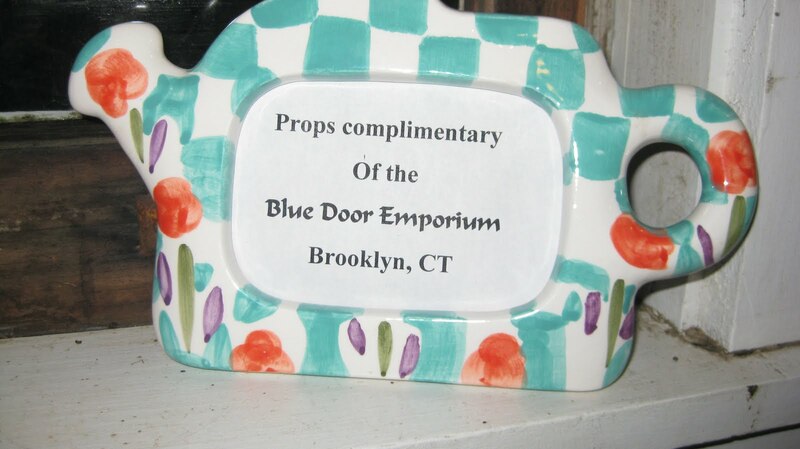 She is the owner of The Blue Door Emporium, which features collectibles and antiques. There's always some comic relief with our son, Elijah. 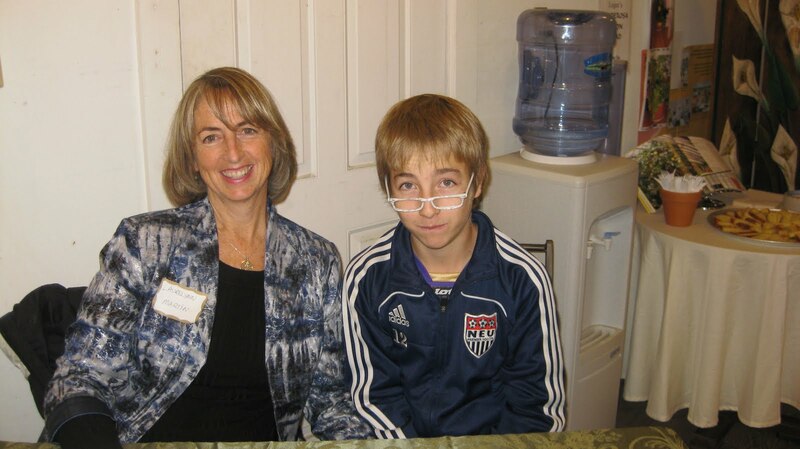 Someone else showed up at the book signing too. Bella Rose, (our daughter's shitzu/bichon puppy). 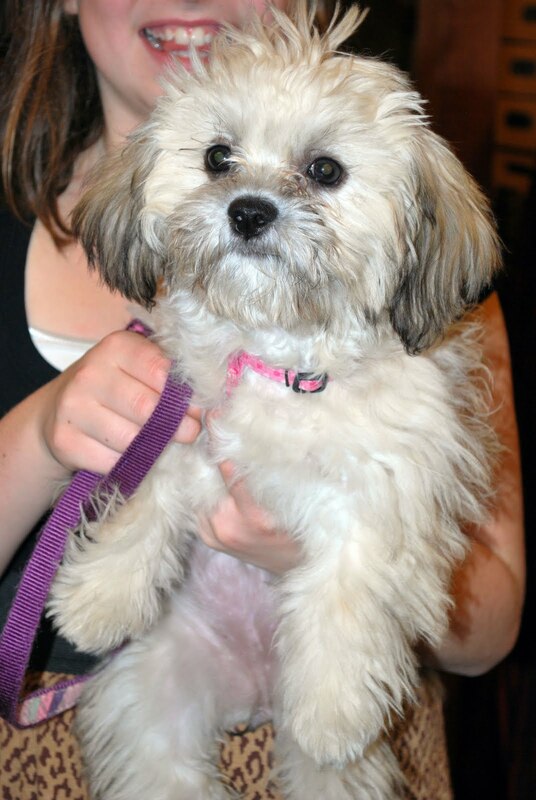 Bella Rose has been designated by our staff as Logee's mascot. 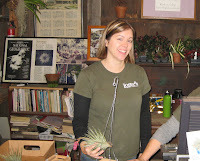 Amy, our retail supervisor gets ready for the Open House. 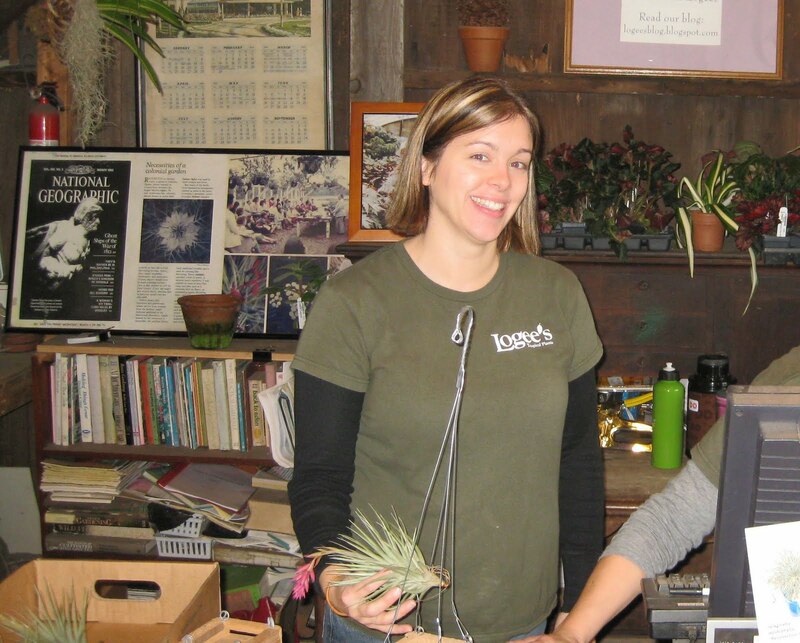 Tiffany takes a break from the greenhouse and helps Amy make more Lemonade for the weekend. They made over 10 gallons of lemonade. 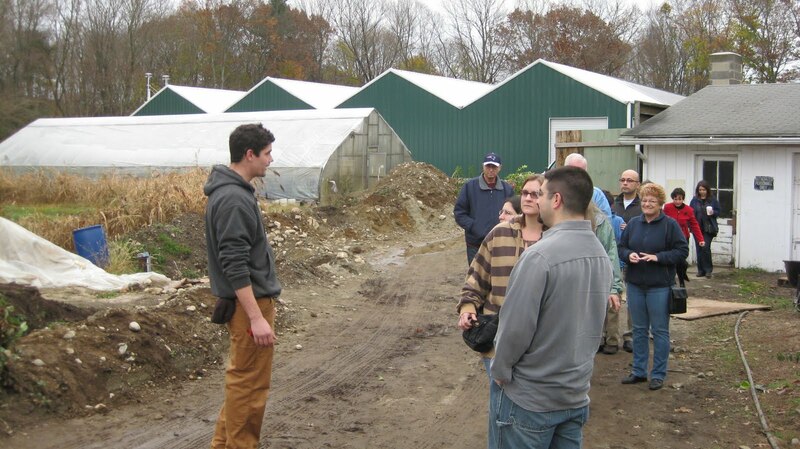 Napa Howe, one of our growers gave a tour of Logee's, in spite of our muddy, construction site. 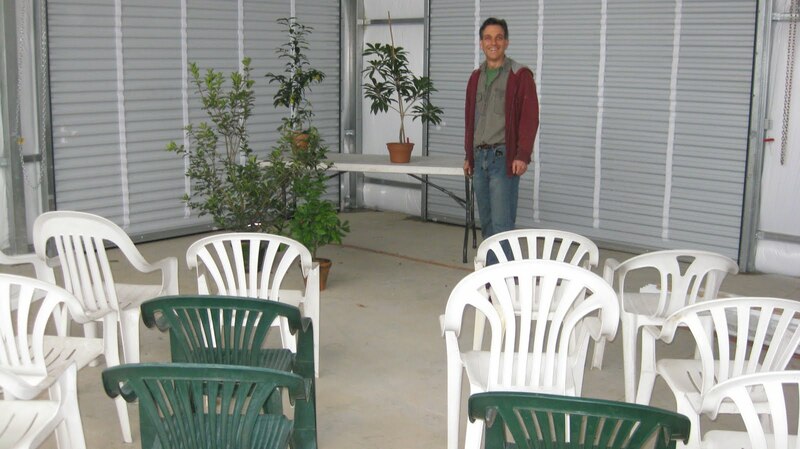 Byron gets ready for a lecture about growing fruit in containers. 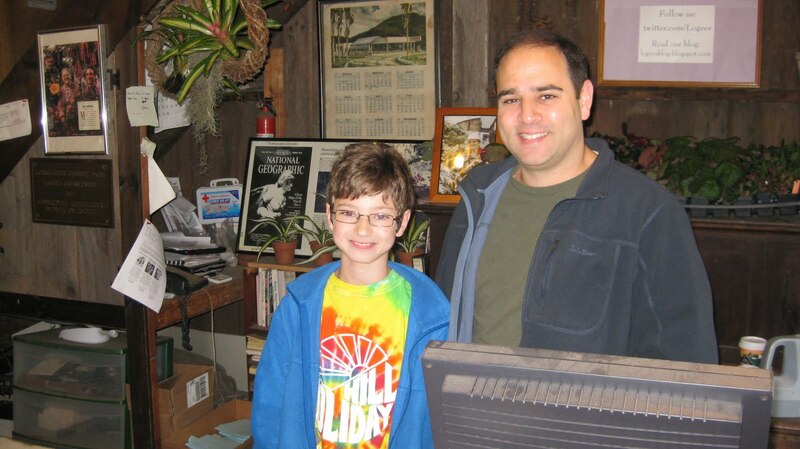 Sham, our business manager and his son Malek helping in our retail store. 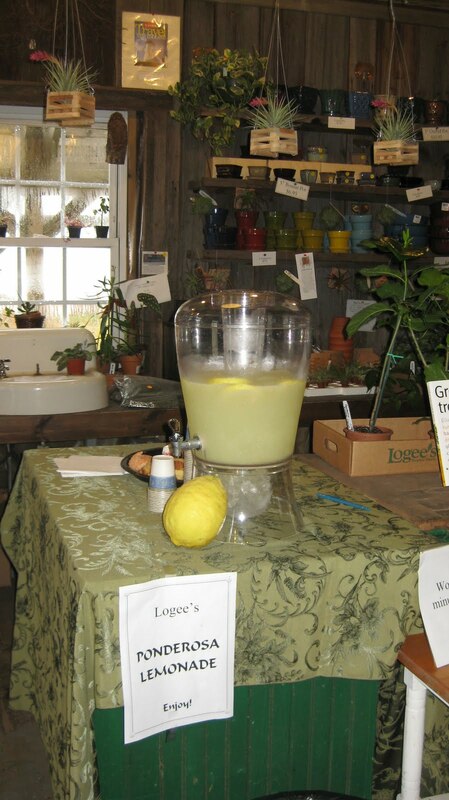 If you go to Logee's retail store now through the end of the year, we sell the Ponderosa Lemons from the tree. They are $5 each, but when you walk into a holiday party with a lemon that size, heads turn and conversations begin. Or better yet, a lemon this size will easily make two loaves of bread, then go to the party bearing gifts. Thanks for the awesome book! 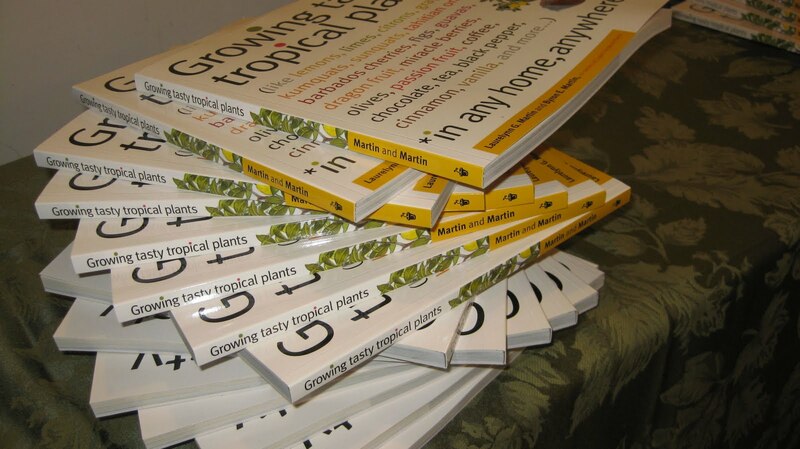 I recently posted it on my blog as one of the best books for the tropical gardener, and it was such an enjoyable and informative read. The prepping and curing info was especially interesting, because whats the point of growing coffee or chocolate if its just for conversation? Oh, and that old ponderosa tree looks amazing!